After doctors in Mayanei HaYeshua Hospital checked HaGaon HaRav Aharon Yehuda Leib Shteinman Shlita Sunday morning, 9 Cheshvan, the decision was made to admit him for observation in an intensive care unit, apparently as a safety measure to permit monitoring his condition more closely. It was reported earlier the Gadol Hador remains conscious and alert, albeit with complaints of weakness and has a fever, which his gabboim explain has not changed. He arrived at the hospital during the morning hours. 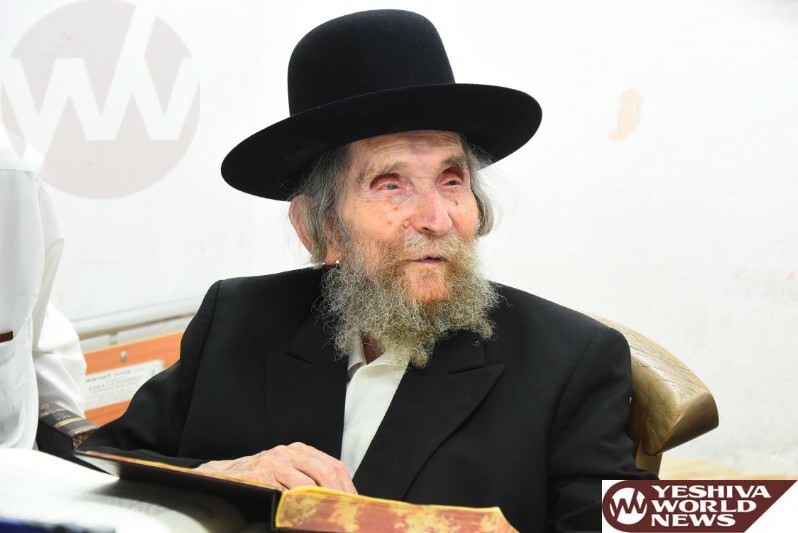 Rav Shteinman is reported to be 103 or 104. The tzibur is asked to be mispallel for Rachmei Shomayim for Rav Aaron Yehuda Leib ben Gitel Feige bsoch shar cholei yisrael.